You've heard of slow food, here's slow yarn. I bought this merino/tencel blend at the NWRSA spinning conference in 2006. I started spinning it at the Purlygirls retreat in April 2015. I finished it this week. 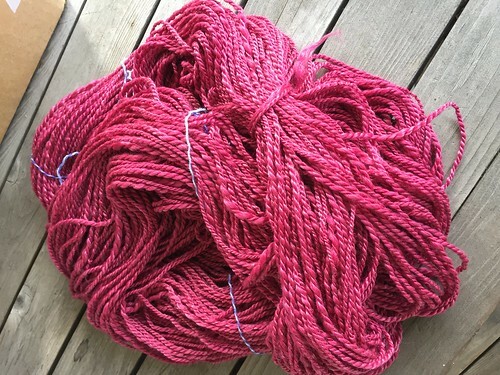 10+ years to make 270 yards of yarn.